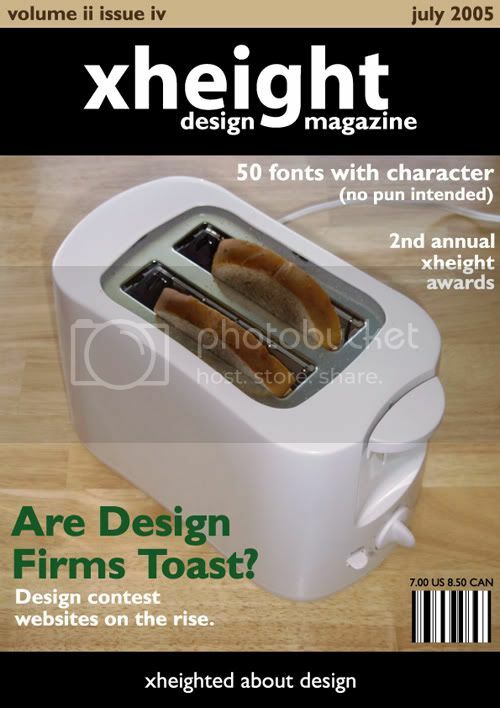 of course it is going to be a Design Magazine cover! The is up to you, it can Be DC Design Magazine or YourNickName Design Magazine, it is not a product design contest, it is a way to unleash your creativity! The winner of this contest will get our exclusive DC t-shirt with free delivery to any part of the globe! Good luck, everybody! onto your domain life span. EDIT: Titles are purely fictional!! Doesn't it have to be a design magazine cover...working on mine hehe this should be fun. peace. Yikes! I misunderstood the "design magazine" part. Ok, I don't mean to nitpick on "Design Magazine"... since we are here to do graphic design. But there also could be Architectural Design, Mechanical Design, Engineering Design, Interior Design, and of course Graphic Design. Does the "Design Magazine Cover" can fall into any of these categories? ... Did I say Automotive Design? Thanks for chosing the magazine idea. I'm just waiting for the specifications before I start on it. Hi all, I'm kinda new here, and found this site when surfing, I have so much fun with graphics that I decided to give it a shot. I haven't learned the html aspects yet. please show your feedback below! First Impressions Count | Visit RAN Creative for your logo & web design needs. » lemieuxster , wasting time collecting stamps. hey was that "any specs yet" post for me!? what did you mean by that! When is the contest closing date. a week from now should be fine I suppose. Well whilst i figure out how to use the webspace my ISP gave me I suppose I will just use good old Photobucket, which I highly recommend by the way! I've never made a magazine cover before.